Mention the pipe organ and the average person is more likely to think of Bach than bebop. Mozart called the pipe organ “The King of Instruments”; composers from Sweelinck to Messiaen wrote for it-including, most famously, J.S. Bach himself. Perhaps no other instrument is as exclusive to the European classical tradition. Certainly its use in jazz has been limited. Aside from Fats Waller in the ’30s, few musicians have attempted to make the wind-blown behemoth swing. 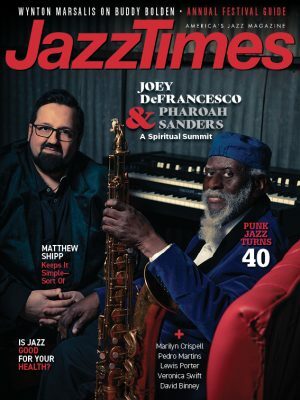 Its sluggish response is something of a hindrance when it comes to playing music requiring split-second timing-and no music depends on split-second timing more than jazz. Of course, jazz musicians typically make a practice of finding novel solutions to difficult problems. The folks who run Philadelphia’s Kimmel Center for the Performing Arts obviously understood that. Last year they decided they wanted someone to play jazz on their new Dobson pipe organ, the largest concert organ in the United States. Their search for a musician willing and able to meet the challenge quickly centered on one person: a hometown hero, Philly native Trudy Pitts. 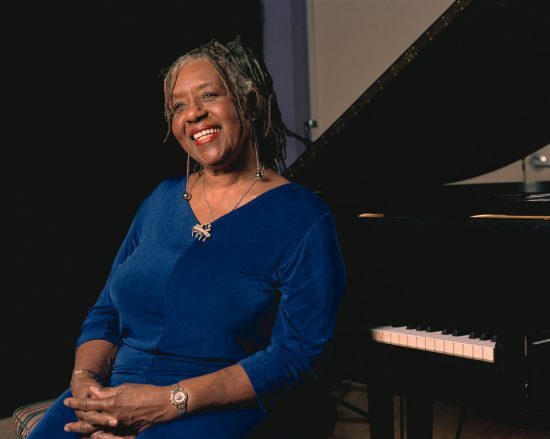 A gifted organist, pianist and vocalist, Trudy Pitts is a product of the same fertile local jazz scene that produced John Coltrane, McCoy Tyner, Lee Morgan and Benny Golson, among many others. She might not be as well-known as some-her husband, manager and musical partner, drummer/vocalist Bill “Mr. C” Carney, calls her “the best-kept secret in jazz”-but she can play with the best of them. Trudy’s style is a compelling blend of earthiness and sophistication. She plays the funkiest ideas with the fine touch of a concert pianist and a liquid swing that would do Basie proud. Consider that she has more than 50 years of experience playing with some of the finest jazz musicians around (Coltrane, Rahsaan Roland Kirk and Pat Martino to name just a few), plus an extensive background in classical music. It makes sense that the Kimmel Center would choose her to put their organ through its paces. Trudy eventually settled on a career in music. She studied classical music at several colleges and conservatories, including Juilliard. Among her early professional experiences was a stint in the pit orchestra on tour with the Tony Award-winning musical “Raisin.” She also worked around Philadelphia as a solo pianist and vocalist. Playing jazz wasn’t on the agenda. “All of my training was classical,” she says. “I wanted to be a concert pianist.” Things changed in 1955 when she met her future husband. Mr. C fronted a band called the Hi-Tones, which at the time included both Coltrane and drummer Albert “Tootie” Heath. Mr. C needed an organ player to replace the one he’d just lost-the estimable Shirley Scott. “Mr. C went to the musicians union here in Philly and got some recommendations,” says Trudy. “I was one of them. Not that they’d heard me do jazz, because I had hardly done any jazz.” The Hammond B3 was new to her, as well. “Here was another challenge in my face, to play another kind of instrument.” She’d heard a lot of jazz around her house. Her older siblings were jazz fans; Trudy herself greatly admired Erroll Garner, but she’d received no instruction in playing the music. “I’m not saying that I didn’t experiment with it when my ear began to be awed by it, but all of my training was in the classics.” As it turned out, her classical studies helped with her jazz playing, especially in terms of harmony. “I didn’t have to study chords because, with my knowledge of what the 88 can do, and my hearing-I had perfect pitch-I could deal with chord changes,” she says. “What a blessing that was! If I heard a song on the radio I could just sit down and play it.” Although Trudy didn’t get the gig on a permanent basis, Mr. C took her under his wing. The couple began a musical-and later, personal-relationship that continues to this day. The concert at the Kimmel Center’s Verizon Hall was scheduled for Sept. 15, 2006. Trudy was to play the first half with a quartet that would include Tim Warfield on tenor sax, Bob DeVos on guitar and Mr. C on drums; singer Nancy Wilson would play the second half. For Trudy, it was a special opportunity. It was also a tall hill to climb. Despite its confusing title and corny psychedelic cover art, Legends of Acid Jazz: Trudy Pitts with Pat Martino (Prestige, 1998) is a fine reissue that includes Pitts’ two 1967 leader LPs, Introducing the Fabulous Trudy Pitts and These Blues of Mine. A solo piano set, Me, Myself and I, is available at cdbaby.com.